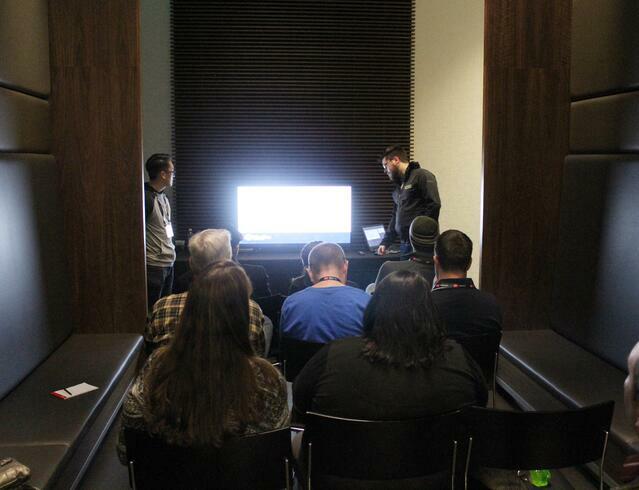 Last Thursday through Saturday we hosted the HindSite Business Summit. Customers from all over the U.S. and Canada had the chance to meet in person to network with their peers, learn what’s new in HindSite and hopefully take something away that would help grow their business. A lot went down, so here's part one of our recap and highlights from last week. During the breakout sessions we all divided into seven rotating groups where our customers learned about new, updated or under-utilized features from our own gurus who eat, sleep and breathe HindSite Software. We also offer the option of using a third-party to manage vehicle maintenance and upkeep. Contracts - an under utilized but beneficial tool - helps keep track of all your service agreements. One-Click Mass Scheduling: Using contracts allows for faster scheduling and a reduction of human error. You can mass schedule all of your seasonal work (start-ups and blow-outs) directly from the map. Highlighted in our last post about How Field Service Software Can Improve Your Customer Experience, Connect is HindSite’s emailing add-on that comes in two different packages: Basic & Pro. Essentially it functions as an email automation program but since it’s integrated with the data living in HindSite you can streamline personalized and timely communication. And with Connect Pro you’re able to send out Customer Satisfaction Surveys and collect the feedback your business is missing. Using HindSite Software for your snow removal business will do everything from streamlining billing to recording contract stipulations. Our new field app is developed with the same code for both Apple and Android devices, meaning you experience the same features no matter your device of choice. Search “HindSite Software Field App” at the Apple App Store for iOS or the Google Play Store for Android to download it today. Assessments are the easiest way to gather (and sync) information from the field. Information related to the job, customer equipment, quality control or pretty much anything else. The main strength of assessments is their versatility as well as their ability to guarantee data collection by automatically displaying for the technician. Throughout the three days, we kept hearing one consistent challenge that all our customers face - “we have a tough time finding employees.” And this was usually followed by an explanation that when someone was hired, they ended up being unreliable. As I was trying to think of some possible tips to help our customers overcome this obstacle, I started thinking about something Aaron Knepp, owner of AK Irrigation in Ohio said over the weekend. Aaron and another owner were talking about finding and managing employees. As he explained his philosophy and how he operates his business, it was one of those man-that-makes-sense-moments. Aaron basically applies and adapts two simple idea to different areas of his company. This first idea, makes a lot of sense. By paying employees more, you’re not only likely to attract better applicants but it also gives you leverage when managing and keeping people accountable. If you pay people more then your competitor down the street, it’s likely they don’t want to lose that job (unless you’re a complete tyrant). If you hold them to a standard of work, they’ll end up being more productive and reliable. The second idea is something everyone does but Aaron used it in a way I hadn’t really thought of before. The other owner asked him how he trains his new irrigation technicians. Aaron said he usually finds two new guys that get along with another. He then has them work under his best technician and gives that tech 3% of the trainees' up-sales during their onboarding period. This incentive will make that tech care more about the training the new employees received since his commision check will directly benefit from it. It's managing and motivating without having to use a heavy hand or an iron fist. 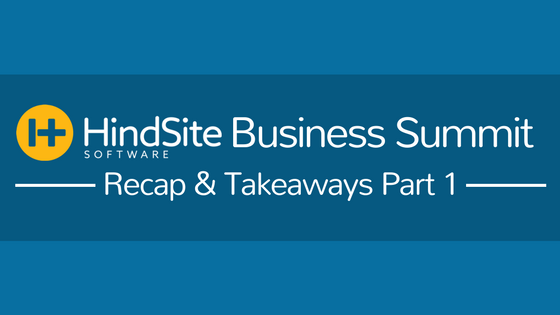 Check back next week for HindSite Business Summit Recap and Takeaways Part 2.